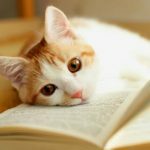 Do You Want Your Cat To Love Spending Time With You? Welcome To Our Complete Guide To How To Bond With Your Cat! Brought To You By Expert Cat Behaviorist Clare Hemington. Do cats bond with all their owners or do they bond with just a single person? What does cat bonding look like, and how do you spot cat bonding issues? 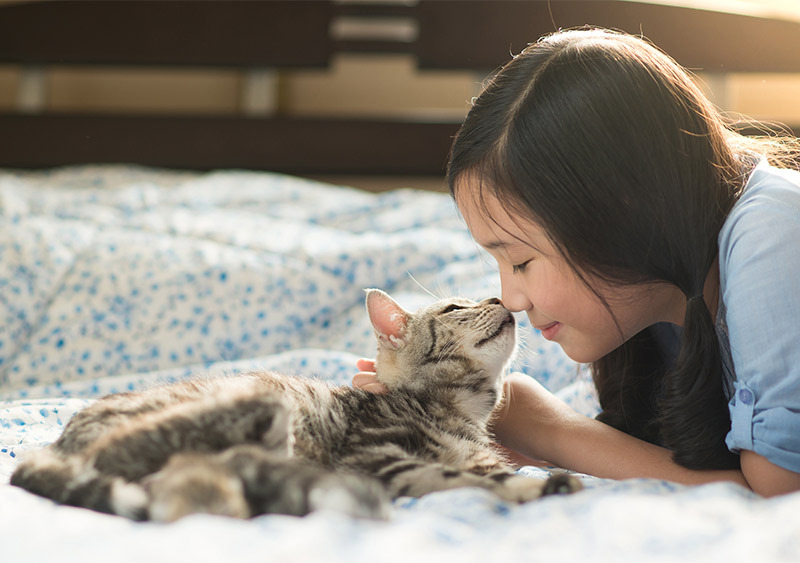 Let’s get the facts, and find out How To Bond With Your Cat in the best possible way. As a naturally social species we’re all about seeking and building loving relationships. Part of that is buying gifts for each other, cooking for each other and sharing our beds. Even getting enjoyment from seeing our nearest and dearest wearing the clothes we’ve carefully chosen for them. So of course, it’s human nature for us to want to show love for our cats in the same way. Interestingly the Poll places these owner behaviors under the heading ‘Showing the Love’, but is this what love is really about? How Do Cats Form Bonds? Here’s the thing. Cats have no biological requirement to form social relationships. They’re not born knowing how to be sociable with us. However, we tend to think of them as little people. We naturally interpret their emotional requirements based on our own human needs. And go about trying to create a cats and humans bond based on these foundations. The American Veterinary Medical Association defines the human-animal bond as ‘a mutually beneficial and dynamic relationship between people and other animals that is influenced by behaviors that are essential to the health and wellbeing of both’. So, bearing in mind we are two very different species, how do we go about creating a strong cat human bond that is ‘mutually beneficial’? 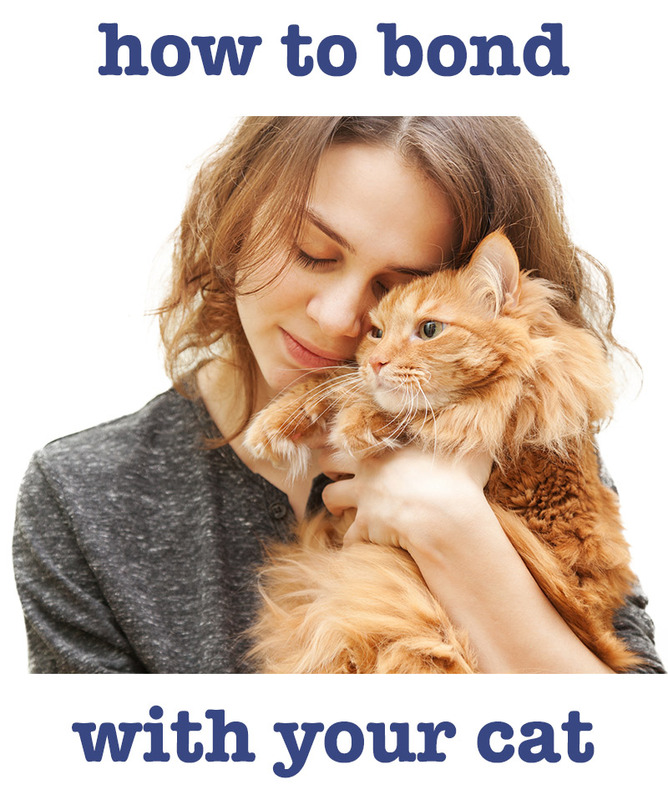 In this article, we’ll find out whether bonding with your cat really is possible. 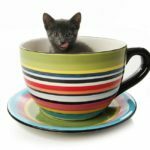 Taking a look at what a cat’s version of bonding looks like, what can happen when bonding goes wrong, and how, by tweaking your interactive style, you can increase your chances of getting the best out of the relationship and creating as strong a bond as possible between you and your cat. Do cats bond with their owners ? 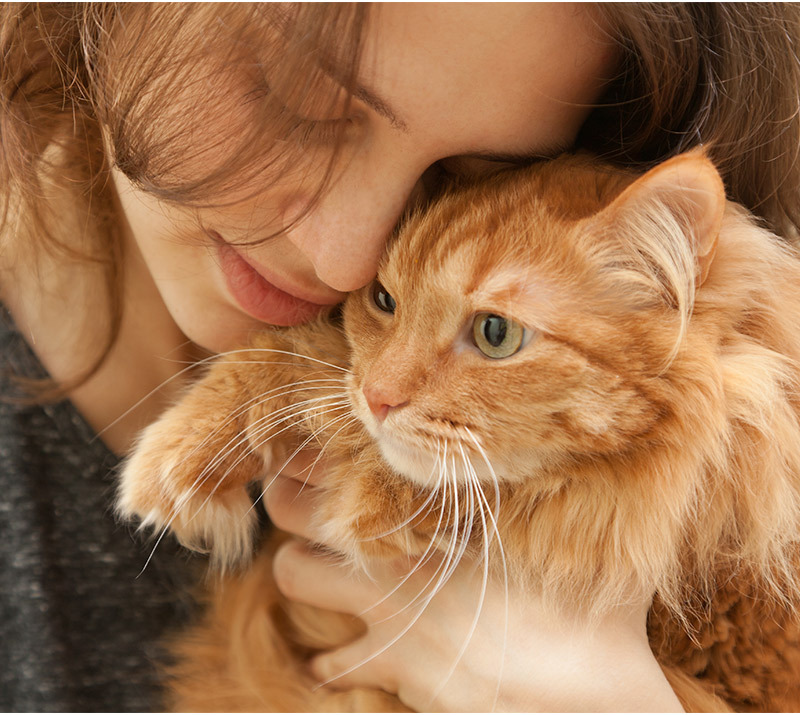 Cats play a significant role in our emotional and physical health. They can help reduce anxiety, decrease loneliness and depression. Cats can provide a source of physical contact and comfort, and an external focus of attention. I’m pretty sure we wouldn’t feel these benefits if there wasn’t some kind of bond between us and them. But what is a cat bond and to what extent do cats bond with humans? They certainly haven’t evolved from a very sociable ancestor, the African Wildcat, who was a solitary, territorial hunter. In fact, most cat owners will be disappointed to learn that even today, cats are more attached to their territory than they are to people. Why is it then, I hear you ask, that some cats lick you, rub around your legs and purr when they’re on your lap? It’s because, they’ve been given the right opportunities, at the right time to learn to be sociable with you. That being said, other cats will do their best to perpetuate the idea that all members of their species are aloof and standoffish! Whether or not a cat is capable of bonding with his owner depends on both genetic and environmental factors. In other words, the temperament he inherits from his mother and father and what he learns during his first few weeks of life. From two to around eight weeks of age there’s a window during which there is receptivity in a kitten’s developing brain to receiving human interactions. This is called the Socialisation Period. If a kitten is handled by a variety of men, women and children of all ages for short periods each day during these two weeks, he is more likely to associate people with positive experiences and be able to develop a human cat bond with them. At around eight weeks old, a kitten’s fear reaction kicks in. If he hasn’t been adequately socialised to people by this time, he’s likely thereafter to find it difficult to interpret human behaviour. He will be frightened when you approach and even display fear-related aggression in your presence. Another factor that might affect a cat’s sociability is the breed. There are some breeds of cat that are capable of forming strong attachments to their owners. For example, Siamese and Burmese cats are bred for their sociable ‘dog-like’ traits. However, it’s these very characteristics that can make them less self-reliant and more dependent. For some, instead of wanting to be around their owners, they need to be around them and go through life constantly interpreting their owners’ emotions. So, although cats aren’t born understanding where we humans are coming from in terms of our natural sociability, by educating them from a very early age, we can teach them how richly rewarding it can be to live with us. Do cats bond with one person? Cats are certainly capable of developing strong bonds with one person in their environment over another. But what influences who they choose to be the privileged recipient of such a bond, can depend on several factors. The most obvious of these is who feeds them. 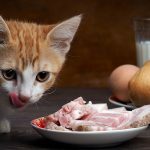 Food and water are the most important resources for their survival and if one person consistently provides this, a cat is more likely to want to keep in with them. This is often thought of as an old housewives’ tail but there may be more truth to it than we realise. People who love cats tend to spend a lot of time focussing on them and fussing over them. This might fulfil our emotional needs but it doesn’t necessarily meet theirs. People who aren’t cat fans usually ignore them which, to be frank, is much more up a cat’s alley. So, the differences in the way each member of a household interacts with a cat will have a huge bearing on how or whether he bonds with them. If a kitten is reared with one caregiver and not exposed to other people as he matures, then it’s likely he will develop a strong bond with that person only and be fearful of other people with whom he comes into contact. This is not healthy for caregiver or cat, but can be prevented by ensuring kittens receive appropriate socialisation to people at the appropriate time. So how do cat’s show that they’ve bonded with you? Rolling over to expose the belly, called a ‘social roll’. This isn’t necessarily an invitation for owners to touch their cat on this vulnerable part of their body! Interestingly these are all the social behaviors that they display towards other cats that they’re friendly with. Cats have a fundamental need to maintain control of their environment and social situation. But this need can be compromised when the relationship with their owner goes wrong. Amongst the problems that can arise are those relating to Over-Attachment and Co-Dependency. 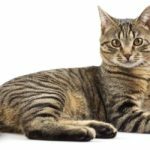 Under such scrutiny, cats can suffer and behavior problems such as urine spraying, house-soiling, destructiveness, vocalisation and obsessive-compulsive disorders can be triggered. 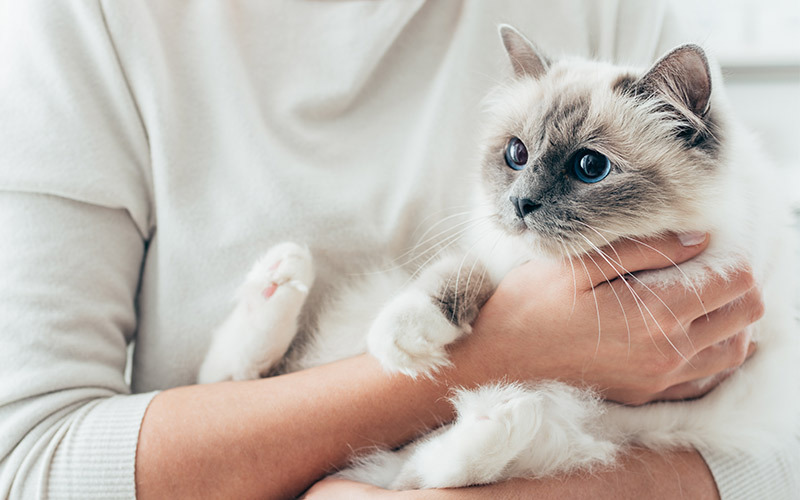 Not only can this type of relationship create heightened anxiety for the owner, but can result in a cat that suffers from separation anxiety as well as stress associated with maintaining a dysfunctional relationship5. Some cats considered to be highly sociable, can in fact be just naturally reactive, sensitive and ‘clingy’. It’s these cats that are more likely to over-bond with their owners. Siamese cats in particular can bond very strongly with one person. 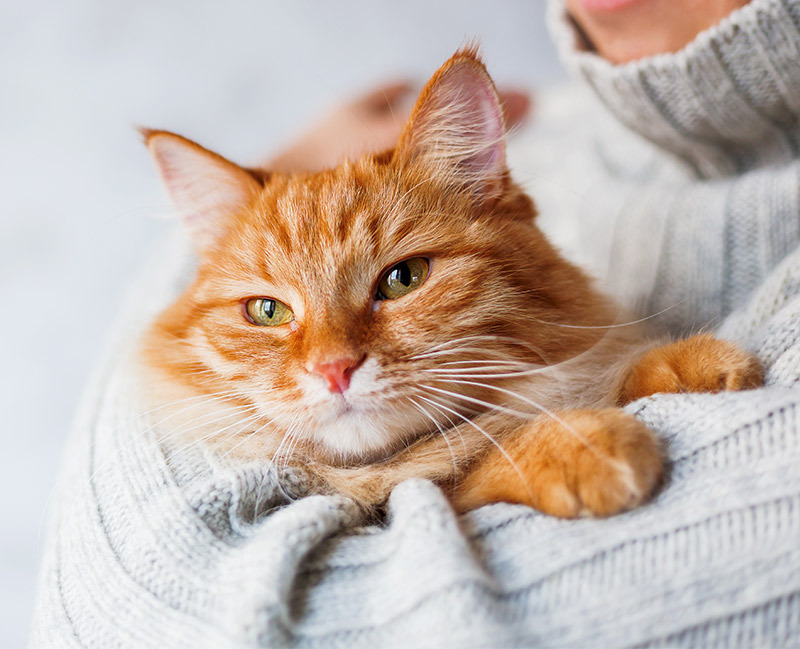 Boundaries are essential for the cat-human relationship and it’s probably best to accept that an ‘intense’ relationship is not in the best interests of owner or cat. Cats will appear to say anything that humans project onto them! So, what are the ways to bond with your cat? the first thing you can do to help create a strong healthy bond between you and your cat is to try and understand their requirements for social interaction at a species level. As we’ve already discovered, these are very different to ours. Even their body language is designed to disguise what they’re feeling! Age. Kittens require lots of interactive play; senior cats usually prefer quiet lap time. Background. His early experiences including how he was socialized. Individual character and inherited temperament. Indoor/Outdoor. Indoor cats may look to their owner for increased attention and stimulation. Other cats in the house. 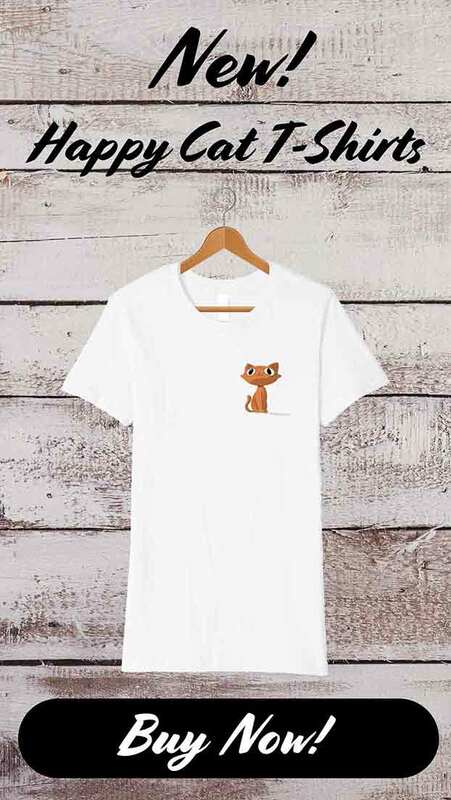 If a cat has a strong bond with a fellow feline housemate, this might fulfill all his social needs. Also vital is that you understand what your cat wants from the relationship. Most cats like to be in control and this means allowing them to initiate all contact as well as determining the quality and quantity of that contact. They would also like their humans to be predictable and have consistent routines. This will help make them feel secure in your presence. In terms of how to bond with a new cat, it’s critical to get the relationship right from the start. This process begins with understanding your expectations of the cat-human relationship and choosing a cat that can meet those expectations. During the relationship be self-aware and ask yourself whether how you’re interacting with your cat is what he needs in that moment? You can do this by learning how to read and interpret his body language for example is he relaxed, tense confident or anxious? If he comes to you for attention, keep physical contact brief and focussed on his forehead, cheeks, ears and chin. Avoid any unsolicited picking-up of your cat, unless you’re sure it’s something he enjoys! Let your cat decide when he’s had enough and always provide escape routes for him. If you have a cat that lacks confidence, try feeding him a nutritious treat by hand each day, but make sure he’s allowed to come to you for it. If he hides, don’t disturb him, this is his way of coping. Never shout, confront or punish your cat, even for the most heinous of crimes! He won’t understand the change in your behavior and it may ruin the bond you’ve worked so hard to create. Daily interactive play sessions using toys that simulate predatory behavior are a very positive way to engage with each other and will make bonding with a cat fun for all involved! All that’s left is to make it happen! Just remember that cats and humans are two very different and distinct species. 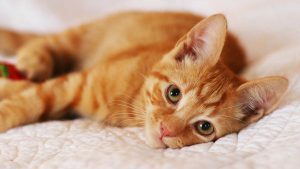 If, as owners, we recognise this and try and understand more about what makes our cats tick we’ll be able to connect with them in a way that ultimately benefits both us and them. Part of this learning process includes the ability to distinguish between Caring FOR cats and caring ABOUT cats. Caring FOR cats is about fulfilling our own emotional requirements and our need to nurture. By caring ABOUT cats we’re respecting the species and providing care that is appropriate to their (not our) needs. It’s all about getting the right balance. Ultimately, the key to a creating good bond with your cat is to understand what motivates him and respect the type of relationship that that he wants.